Before I became a mother, I’d do laundry every four to six weeks. My lack of urgency in washing and drying clothes isn’t because I was lazy, but a reflection of how massive my wardrobe was pre-KonMari decluttering. However, between explosive poops and bibs plastered with spit-up, doing laundry has now become a weekly and very expensive chore. A 100-fluid ounce bottle of detergent formulated specifically for babies and their sensitive skin costs me $16 at my local Target. Even though I should get at least 60 washes out of it, my measuring skills to fight off tough stains cuts that in half. And I eventually find myself spending more money to go right back to the store and buy more detergent. So when I heard about these all-in-one laundry detergent and dryer sheets that cost 20 dollars and last for up to two months, I was all ears. 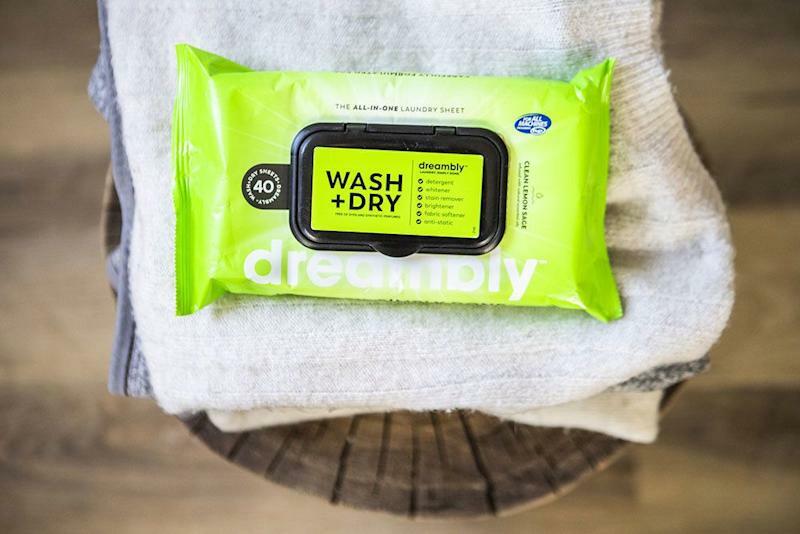 Dreambly Laundry Sheets ($20, amazon.com) contain 40 pre-soaked sheets that come in a neon green resealable package similar to baby wipes. Its nontoxic, all-natural formula is made up of purified water, coconut oil and a super-light citrus scent courtesy of essential oils. The company claims you need just one sheet to do the work of a detergent, stain remover, brightener, softener and static remover. The biodegradable cleaning product can be used with your whites, colors and delicates. Plus, it’s safe to use in all laundry appliances. 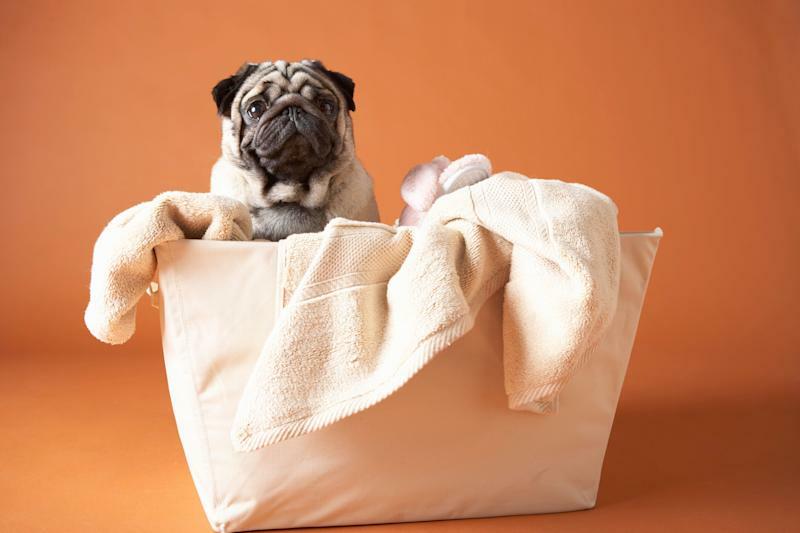 You simply toss in one sheet with the wash (or two for heavier loads), transfer it all into your dryer and throw away after each use. I peeled off the linens from the queen-sized mattress in my master bedroom, which was filthy from co-sleeping with a teething infant, and stuffed them inside my washing machine with two Dreambly sheets. I chose to skip the pre-treat/soak process to really gauge how effective this product is at targeting stains. Once the washing cycle ended, I removed the linens and was immediately surprised by how clean they appeared and smelled. The lemony-fresh fragrance wasn’t overpowering at all and the night-sweat stains were now gone. What really sold me on the Dreambly Laundry Sheets was how after one spin cycle in the dryer it made my bedding feel super soft—almost as brand as new when my mother gifted them to me this past Christmas. As for wrinkles, they were still there. But once I smoothed them out on the bed, I barely noticed them at all.